Hello, this is Kermit the Frog here, with my friends from OK Go, who've just done a wonderful version of the Muppets show theme song and welcome to the behind the scenes of the video! Waldorf: So what is it we're doing here Damian? Damian Kulash: it's behind the scenes. We're explaining the video. Statler: if this is behind the scenes, I'd hate to so the video. Dan Konopka: Do you have any idea what you're doing in this video? 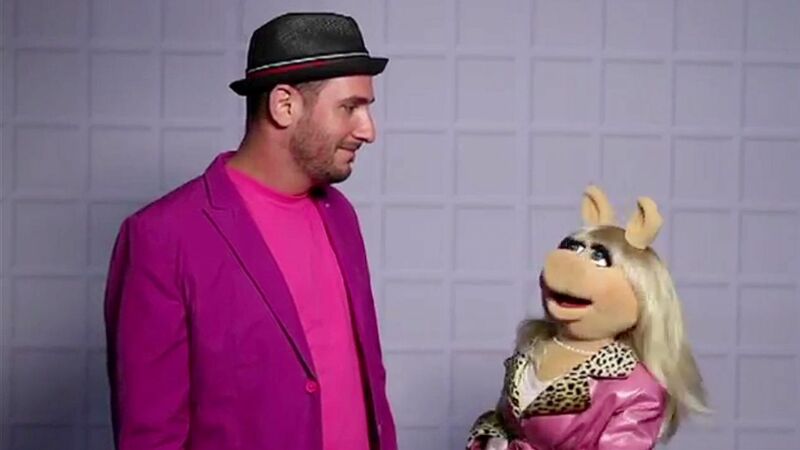 Miss Piggy: What are we doing? Are we in your video? Andy Ross and Tim Nordwind also talk about the Muppets video.